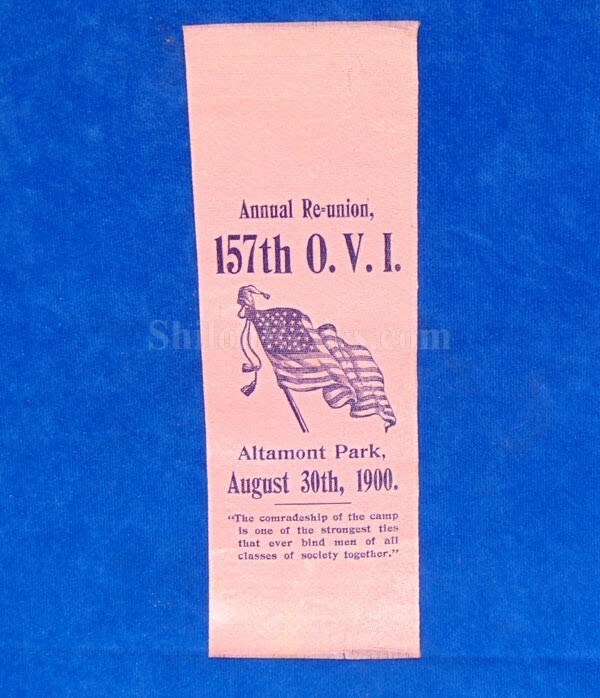 Here is a nice original Civil War veteran reunion ribbon. This one is from the 1900 reunion of the members of the 157th Ohio Infantry. They served mainly on garrison duty. 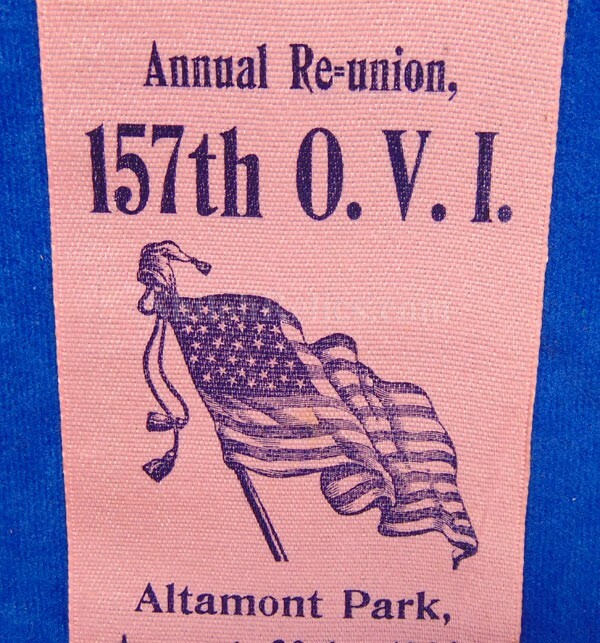 At the top of the ribbon it has the "ANNUAL RE-UNION / 157th O.V.I." with the waving U.S. flag in the center. 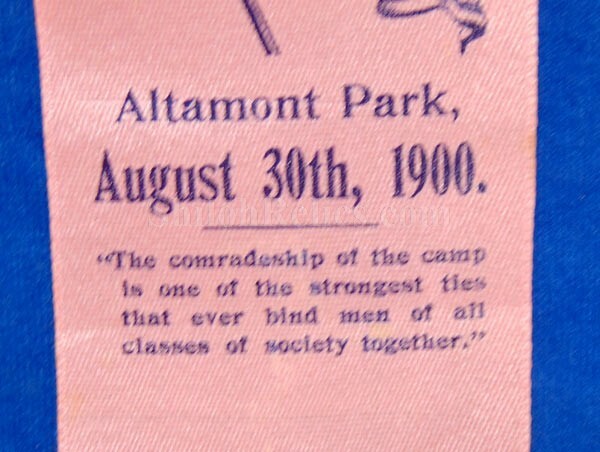 The bottom has the "Altamont Park" location of the reunion as well as the August 30th 1900 date of the reunion. The ribbon is nice pink silk that has the dark blue and red lettering color. 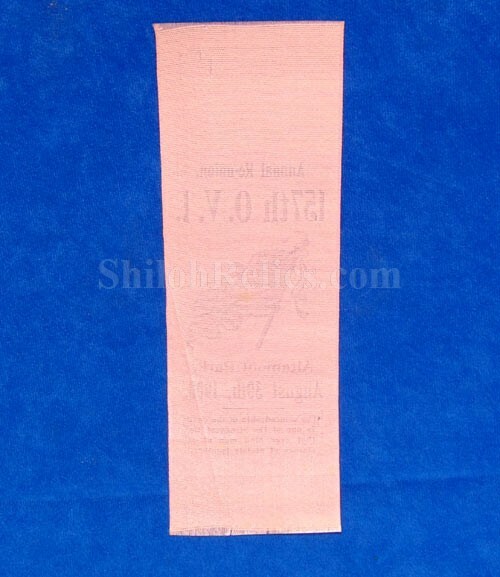 The ribbon measures 8 inches by 2-3/4th inches in overall size. It comes in an acid free holder for display and preservation.